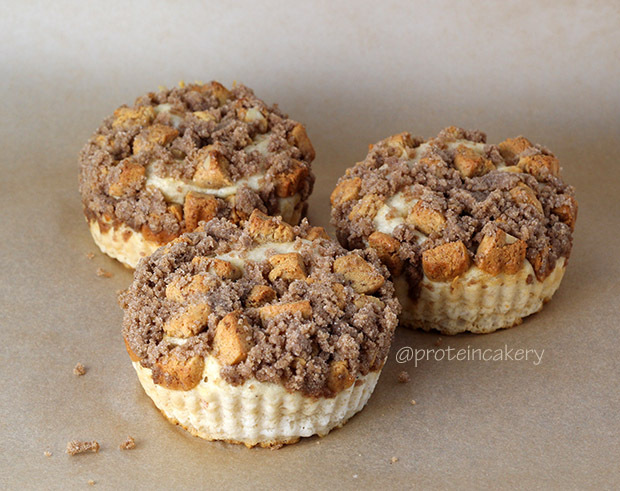 Another great idea submitted by a reader, Protein Coffee Cake with Crumble Topping! 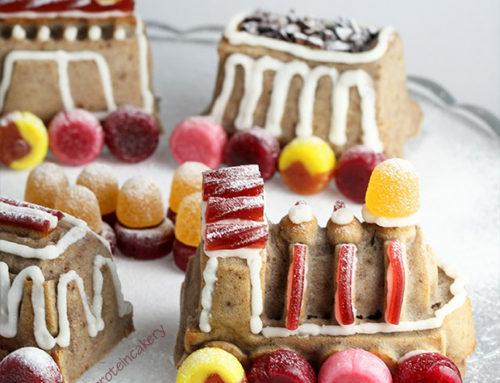 A remake of the traditional, unhealthy packaged coffee cake treat. 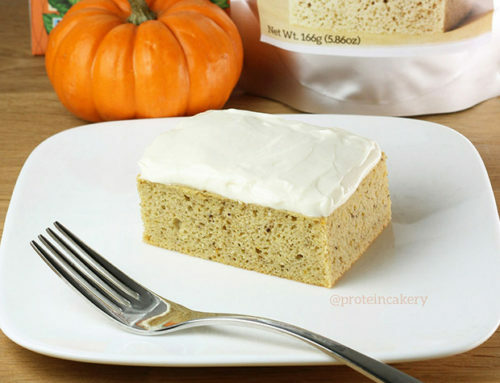 Now, a high-protein, gluten-free version! To make the crumble topping here, I adapted an idea I found on the Daily Dietribe. Since it calls for brown rice flour, I knew Quest’s Brown Rice Powder would be perfect here! 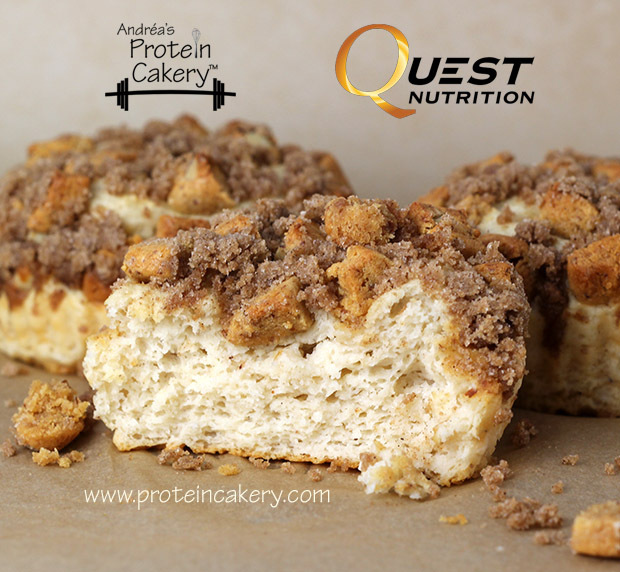 And so I went with a Quest theme for this Protein Coffee Cake with Crumble Topping. I made the cake using their Multi-Purpose Protein Powder, and I added a Cinnamon Roll Quest Bar to the crumble topping. The result? Delicious! Quest Protein Powder is a whey/casein blend. 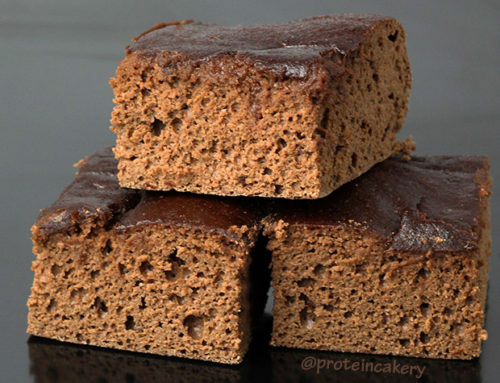 The casein acts like a flour when baking, so a whey protein wouldn’t be a great substitute here. 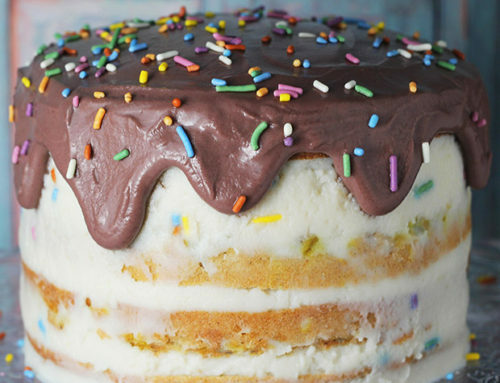 You’d have to add in some extra flour, and then check that your liquid is still enough for a cake batter consistency. Easier to get yourself some Quest Multi-Purpose Protein Powder! It’s great for baking; I’ve used it here a bunch! 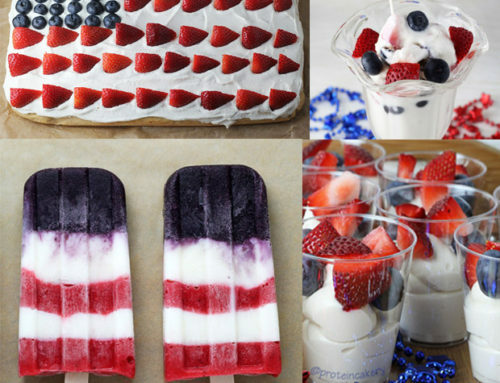 I hope you’ll give this recipe a try! 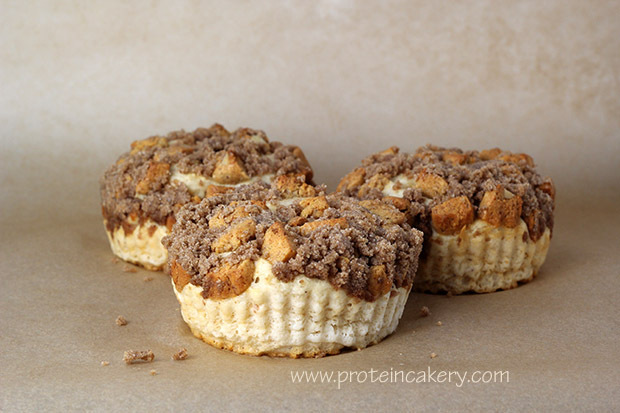 A delicious, all-natural, gluten-free Protein Coffee Cake with Crumble Topping. Thanks for the great idea, Sara! And thanks to Quest Nutrition for sending over these great ingredients! Mix dry ingredients for the cake batter to combine. Add almond milk and vanilla. Mix well. Spoon into three large silicone muffin cups. Set aside. Mix the stevia, cinnamon, and Brown Rice Powder to combine. Add coconut oil. Mix well. Sprinkle crumble topping on top of cake batter in each muffin cup. Bake for 20-25 minutes, just until firm and a toothpick comes out clean. Let cool, and remove from muffin cups. Enjoy!